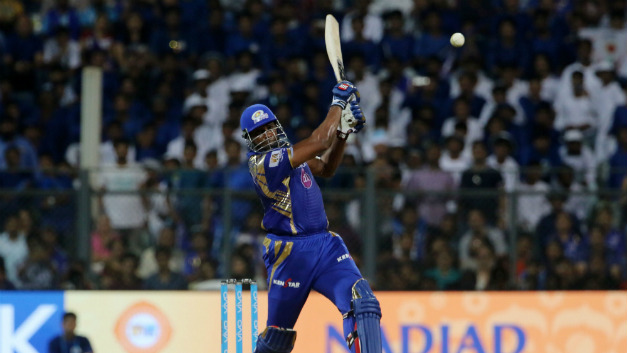 Mumbai Indians edged out Kings XI Punjab in a thriller at Wankhede. Mumbai Indians hosted the Kings XI Punjab in the 50th match of IPL 2018 at the iconic Wankhede Stadium on Wednesday (May 16), where the former registered a thrilling 3-run victory. With this win, the defending champions kept their playoff hopes alive while Kings XI Punjab gone one place down in the points table to sixth. Earlier, Punjab won the toss and elected to bowl first. 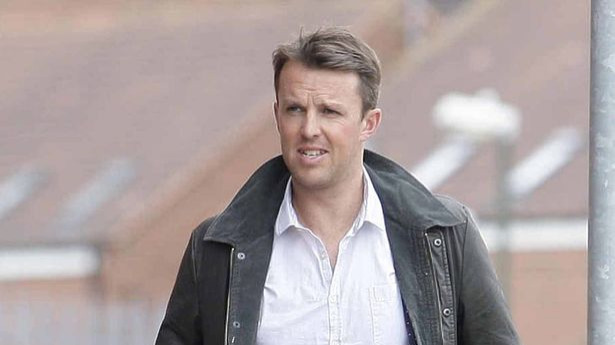 MI rode on Kieron Pollard’s blazing 23-ball 50 (5 fours and 3 sixes) to put 186/8 on the board. Krunal Pandya was another notable contributor for Mumbai with 32 runs. Andrew Tye was the stand-out bowler for KXIP as he claimed 4 for 16 to become the leading wicket taker of IPL 2018 with 24 scalps. In reply, KXIP got off to a flier with Chris Gayle and KL Rahul adding 34 runs for the opening wicket in just 3.5 overs. After Gayle’s dismissal, Rahul along with Aaron Finch forged a 111-run stand to put KXIP in a commanding position. However, Jasprit Bumrah had a different plan in mind as he removed Finch and Marcus Stoinis in the 17th over to change the course of the game. One over later, Bumrah dented Punjab even further by getting rid of the ominous Rahul on 94 off 60 balls (10 fours and 3 sixes). 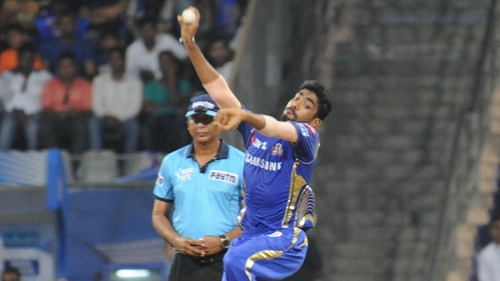 Bumrah finished with the figures of 4-0-15-3 whereas Mitchell McClenaghan successfully defended 16 runs in the final over to secure the match for Mumbai. Twitterati were impressed to see the quality death-overs bowling of Bumrah while they also hailed Rahul’s stellar effort with the willow.